The long process of selecting a clothing vendor, reaching sponsorship agreements, designing a jersey, and collecting artwork is finally done and the 2014 clothing order is ready for the membership. 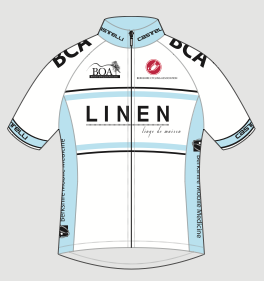 Many thanks go to Bill Caligari of our new title sponsor Linen for leading the new clothing design. There's a sneak peek at the jersey here, but for more pictures and full details go to the order page.